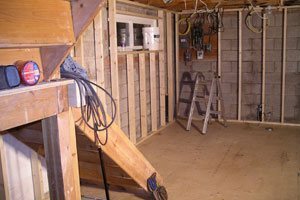 Turn your basement into a new bedroom, a workshop or an enviable man cave. Expand your living space and add value to your home. A functional garage requires wall outlets in the right positions and efficient lighting. 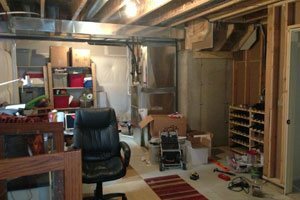 Transform your garage into a storage room or an extra bedroom. Theatre wiring requires great precision, and we have the time to get your system running smoothly. When you upgrade your home, you need a professional electrician to properly handle the wiring in your newly renovated space. As you prepare for life in your new home, you will need a trustworthy team of professionals working to bring your vision to life. You can count on Gravity Electrical to bring our new home wiring expertise to your home. 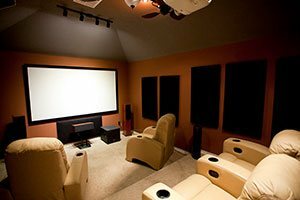 Our electricians are always prepared to handle jobs big and small, including home theater rooms, whole-house sound systems and thermostat wiring. Technology is gradually changing the way humans live, and that includes the way residential electrical wiring is handled. As a leading Calgary electrical company, we consider it our duty to stay updated on the new products hitting the market and the more advanced wiring strategies. You can count on us to wire your home with confidence. Residential electrical wiring is intricate work that requires expert knowledge and the patience to follow necessary steps with great precision. We consider this an art form that can transform any building into a warm, welcoming home. 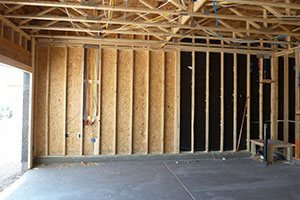 This is why so many Calgary residents now consider us a trustworthy electrical contractor capable of handling thermostat wiring and many other services needed for the development of a new home. We can also handle the wiring for all types of home renovations, so keep our phone number on hand. You never know when you may need to adjust your new home to fit your changing needs.